It’s the NBA Playoffs and most of the city of San Antonio has been cheering on the Spurs! Apparently Rex has been paying attention as he’s a little Baby Bonner in training! 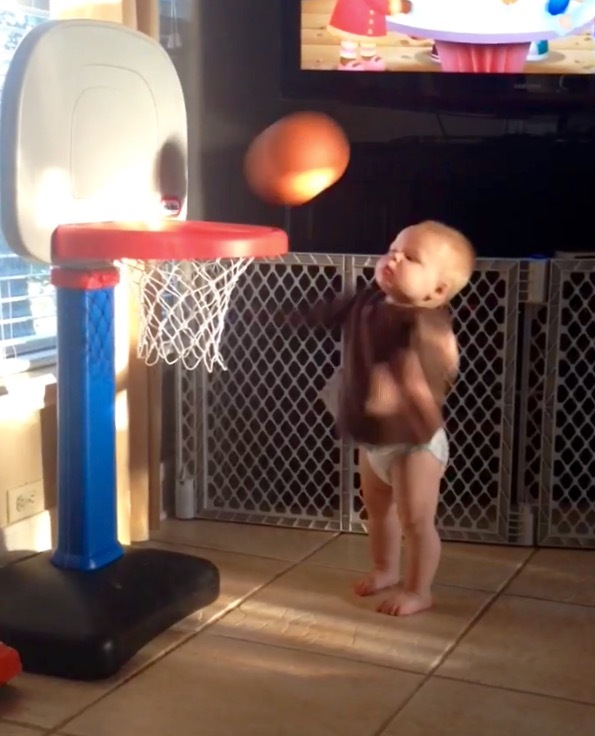 His basketball skills have evolved from dunking into actual hoop shooting! Check out a quick 12 second clip of him shootin’ hoops here: http://youtu.be/t3kmG4uN1ew! Next Post 14 months: Anti-literacy, Dog Poop & More! Rex is moving exceptionally well with the ball.